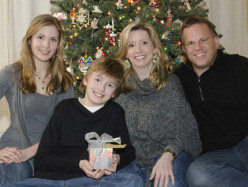 Author Jill Hardie, her husband, and their two children began the tradition of placing a Sparkle Box for Jesus under their Christmas tree when their children were seven and 15 years old. The first time they opened His gift, the commercialism of the season melted away and they experienced profound peace and happiness. It's Jill's hope that The Sparkle Box book will ignite a new Christmas tradition that helps center Christmas in the true joy of the season. Jesus taught us that whenever we do something for someone in need, we do it for Him. I think loving and caring for each other in His name is the greatest gift we could give to honor Jesus on His birthday." Speaking Events. Jill Hardie loves to share the message of The Sparkle Box and The Sparkle Egg. The back story of the books touches people of all ages as they discover a journey of grace and forgiveness—and the hope that is meant for each of us. If you’re interested in booking a speaking engagement or school visit, inquire at info@thesparklebox.com. At a very early age, Christine Kornacki developed a love for painting and bringing stories to life. After receiving a BFA in illustration from the University of Hartford, her dreams of illustrating children's books began to take shape. She spends her days painting in her studio, which adjoins a charming café in New Haven, Connecticut. 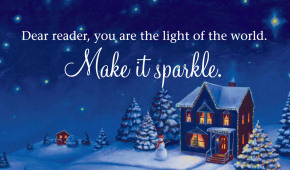 Artwork featured above is from The Sparkle Box, published by Ideals Children's Books. Art copyright © 2012 by Christine Kornacki. TheSparkleBox.com and its contents are copyright protected by Jill Hardie.